The Gold Medal Commercial Series chair combines the most popular features of the Classic and Contemporary chairs while adding reinforcement for longevity and strength. 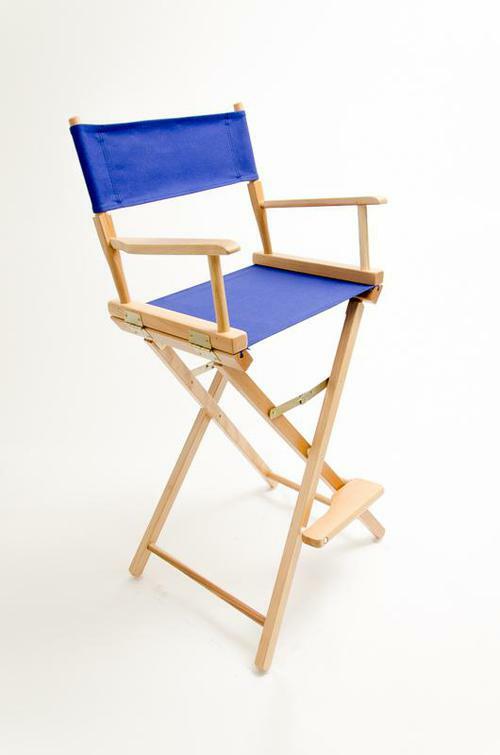 Our Gold Medal Commercial Series Directors Chairs will provide a lifetime of trouble-free daily use. The aim of this product is to provide a casual seating solution for commercial use. Years of feedback and design improvements led to the creation of our strongest directors chair series. We increased the thickness of the leg rack, added steel brackets for reinforcement, nylon swivel glides to protect flooring surfaces, and finished off the design with our Comfort-Shaped Armpad. This series is the choice of cosmetic companies, food service, apparel & shoe stores, and trade show exhibitors. The Commercial Series chair is available in 18" and 30" Seating Heights. The Commercial Series is available with a wide array of fabric styles and colors. Made in the USA using American Beech hardwoods. The Gold Medal Commercial Series builds on the reputation for quality that has defined Gold Medal since 1892.